Your One Stop CDL Shop! Includes an identical mock Pre-Trip walkthrough with a CDL licenced instructor. 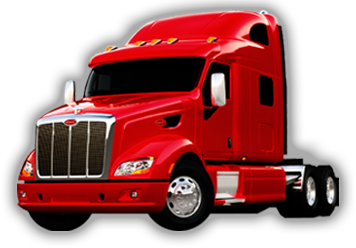 Including information and study material needed to assist in passing the pre-trip section of the CDL Exam. Additional Training is to polish driving skills before they take the CDL Road Test, Straight Line Backing, Parallel Parking, Turning... etc. An entry level driver who will begin operating a commercial vehicle in interstate commerce on or after July 21, 2004, must recieve this training and certificate before driving a commercial vehicle for hire in interstate commerce. Required by the FMCSA to be legal to drive in interstate commerce for hire. You cannot legally operate a CDL vehicle without this certificate. *PRICES ARE SUBJECT TO CHANGE DUE TO THE LOCATION OF THE TXDPS OFFICE, AVAILABILITY OF A TRUCK, NEW DOT REGULATIONS, FUEL COSTS AND NEW PROGRAMS WE OFFER. *ALL SALES ARE FINAL! NO REFUNDS! *THERE ARE NO REFUNDS ON TRUCK RENTAL DEPOSITS! *PRICES CAN CHANGE WITHOUT NOTICE. NEW PRICING MAY NOT BE UPDATED ON THE SITE.